Lush and lovely film, beautiful print and original Vitaphone music track. 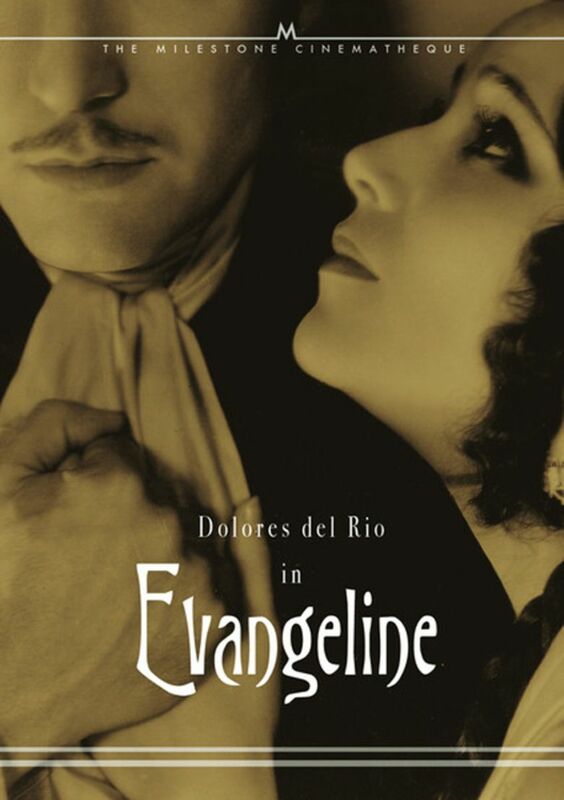 Dolores Del Rio is terrific as the heroine and even gets to sing in the finale, a very delicate and moving song and speak a closing line. I played the final scene several times and absolutely cannot tell what she says! Good location shooting although the Acadians are shot in Minnesota and California (according to IMDb) and are nowhere near Nova Scotia or Maine. On the downside are weak leading men, Roland Drew and Donald Reed. And the very nature of the story keeps this from being a compelling love story. Still Del Rio and the settings hold your interest. A nicely packaged film from Milestone and Vitapjone Project. Last edited by drednm on Wed Nov 27, 2013 2:31 pm, edited 2 times in total. This has been a favorite of mine since I saw it on VHS (long before anyone heard of DVD). It's really touching (in the final scene), to watch and then suddenly hear Del Rio as she holds her long lost lover. Her tear and the raw emotion in her voice drove home the passion of this love story. What a great way to use syncronized sound. I can just make out the words, Love me forever (the song's title), and another line that began, Hold me forever..." I guess, it's like the voice of an angel, and needs not to be clearly understood to appreciate. This film also led to researching the history of Arcadia, where I learned how factual the story really was. Yes I agree. I felt detached from the love story but found the location settings excellent and Del Rio was quite good. But the ending got me. I didn't expect "a talking sequence" and it was beautifully done. Del Rio's aging makeup wasn't overdone and the simple song and lighting were just about perfect. I remember having to read this endless poem in like 8th grade and always hated it. But this was interesting history. The expulsion scene was well done. a bit pricy from the Milestone Company, is it worth it? sepiatone wrote: a bit pricy from the Milestone Company, is it worth it? I did a double take since this thread is a year old. If you're still on speaking terms with Netflix, you can watch this "Milestone" film whenever you like. It's a very romantic and tragic film - a very moving film. I bought the original Milestone DVD years ago, and remember how moving the experience was watching the film. 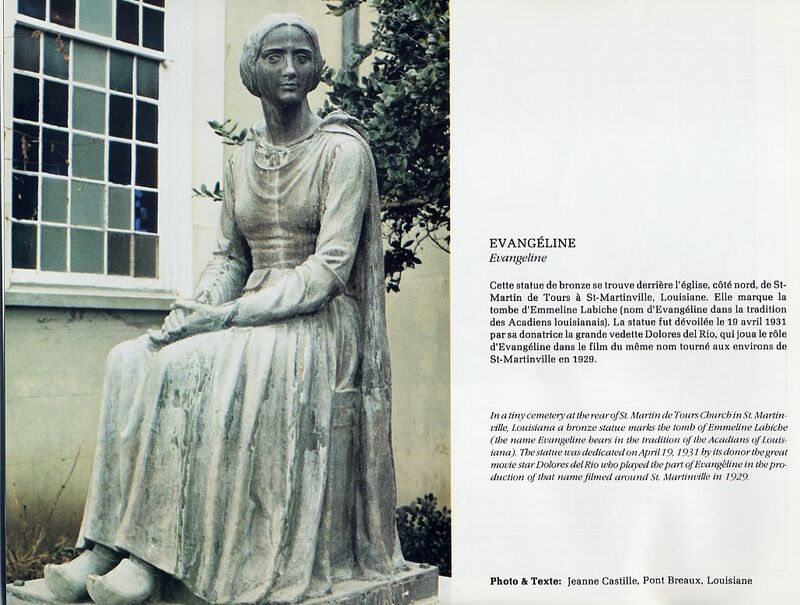 What made "Evangeline" all the more interesting is that the historical part of the story is shockingly true. I remember researching the Arcadians after renting this originally from "Unknown Video" on VHS. Back then, Chris used to send out postage paid boxes of his videotapes (much like Netflix does today with DVDs). What a wonderful thing that was when so many of these were either expensive to buy or impossible to find. I think the post office made most of the profit. These people have been scattered across the globe and their true story is dramatized here. Also captured with wonderful photography is Evangeline's search for her love through the Louisiana bayou. The original soundtrack perfectly matches the story. Looks like I've decided what I'm going to watch again today. Like this thread...it's been more than a year since I've even thought about this. I bought the Milestone dvd just last year after reading about it here on N'ville. I agree it's a beautiful film and by a director we usually don't mention very often. I got the dvd from an Amazon seller at a good price, around $20 I think, but now I see that it sells for a small fortune so thanks heaven for Netflix! They seem to be adding a number of streaming silents too. While I have the Kino Keaton dvds, I was browsing Netflix the other night and came across SEVEN CHANCES. I was curious to see the quality so I started watching it - and stayed for the whole thing (it's less than an hour). Nice streaming quality too. After reading this topic, I found Evangeline selling at Walmart for $20.86. This was my first purchase ever from that store, and probably my last, and I received the following message about this unrated 1929 film: “This title is intended for mature audiences. You must be 17 or older to purchase. It may contain intense violence, blood and gore, sexual content and/or strong language. By ordering this item, you are certifying that you are at least 17 years of age.” I’m now going to have to wait for the mailman, and hide Evangeline in the basement before my wife sees it. Gary Newman wrote: After reading this topic, I found Evangeline selling at Walmart for $20.86. This was my first purchase ever from that store, and probably my last, and I received the following message about this unrated 1929 film: “This title is intended for mature audiences. You must be 17 or older to purchase. It may contain intense violence, blood and gore, sexual content and/or strong language. By ordering this item, you are certifying that you are at least 17 years of age.” I’m now going to have to wait for the mailman, and hide Evangeline in the basement before my wife sees it. That's Hilarious! I watched my copy again today. Being the old softy I am for good melodrama, it didn't matter I already knew what was going to be seen and heard in this (part-talkie), at the end. I still had to wipe my eyes and blow my nose. There's a great action scene in here too, but lets not spoil this with more details until Gary gets a chance to see it. I suspect that you got the warning because it is the "unrated" version! Still more to come in the upcoming months! 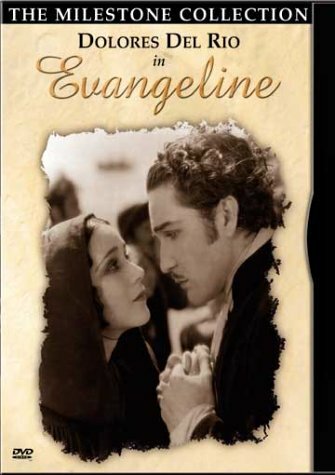 By coincidence, this year marks the 100th anniversary of the production of the first Canadian feature film, a now-lost version of Evangeline, produced by the Canadian Bioscope Company, which folded in 1915, partly due to economic conditions brought on by the First World War. The film was shot on locations around Nova Scotia, and also in a brick warehouse "soundstage" which still stands, in the south end of Halifax. The image below is all that remains of the film, to date. I usually get down to the Acadian shore of the Bay of Fundy, through the Annapolis Valley, a couple of times a year, it's still a pretty beautiful place. s.w.a.c. wrote: The image below is all that remains of the film, to date. Them folks look mighty joyful for a bunch that's about to get dumped in the alligator-swamps of Louisiana! But as I noted above, this wonderful film was not shot on location in Maine and/or Nova Scotia. I remember really liking Bay of Fundy area!! I know quite a few folks of Acadian descent, and they generally know how to have a good time, wherever they wind up. I recall seeing this at the Silent Movie Theater in the mid-90s, I believe in 35mm. The stunning exterior shots - especially the coastline were particularly memorable. Wonderful film and I like the new Milestone artwork, Dennis! I love this film, but will somebody please tell me what Dolores utters at the end of the film. I apologize if this has been covered before, but I cannot make it out. Also, what song is she singing before she speaks at the very end. Thanks. i found the words hard to understand also, although I thought that one of them was "father." I then looked up the Longfellow poem, in which she says at the end, "Father, I thank thee!" So that's probably it. A review of the movie on IMDB says that the song is "Love Me Forever." Neither Shazam nor SoundHound could ID it. Rick Lanham wrote: i found the words hard to understand also, although I thought that one of them was "father." I then looked up the Longfellow poem, in which she says at the end, "Father, I thank thee!" So that's probably it. This is OOP again. Could someone confirm if this was the cover for the Milestone reprint 6 years ago? It's absolutely beautiful. If so and you're willing to part with your copy, feel free to PM me, as I only have the VHS. No, I'm not willing to part with my copy. Sorry. Even though it only plays on my laptop and not on any of my DVD players. My disk is at least 10 years old, and it has this cover. I'm not willing to part with it yet. There were two releases. The first was through Image Entertainment, and the second was our own release after our contract with Image was over. The discs were exactly the same, however. The rights are now back with the Mary Pickford Foundation. Several Milestone DVDs of Mary Pickford have gone out of print and are fetching high prices in the used markets. I was lucky to have bought several of them when Milestone had a sale for $10 each a few years ago: Daddy Long Legs, The Love Light, Through the Back Door, and probably the best disc Milestone has released, Rags & Riches: The Mary Pickford Collection (comprising of The Poor Little Rich Girl, The Hoodlum, Ramona, and Sparrows), which now sells for $300+ in the used market. I have long been disheartened about how quickly Mary Pickford dvds go out of print (including all three documentaries) while so much junk seems to stay in print for decades. I'm so sorry, but the best disc Milestone ever produced was THE EXILES followed by KILLER OF SHEEP, then followed by the cigar-box edition of I AM CUBA. If you're sticking to silent films, then it's SHOES, THE ADVENTURES OF PRINCE ACHMED and then either BEYOND THE ROCKS or LEGONG. RAGS AND RICHES was a wonderful release but I wished we were have been able to have provided more historical/contemporary content and context. Without bonus features, they're just films encoded on a piece of plastic. It's my opinion, but on all things Milestone, it's a fairly educated one.